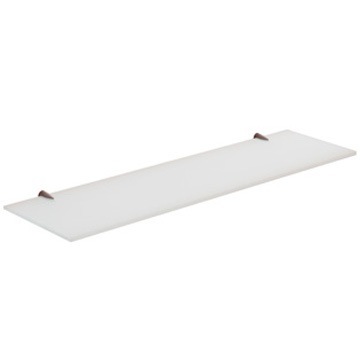 The ultralight, contemporary design of this wall mounted 24 inch frosted glass shelf has a delicate look, but can hold up to 18 1/2 pounds for you. The wall brackets are forged of Cromall alloy for strength, beauty and a slim profile. The satinized ultralight 24 inch glass shelf is 6 1/2 inches deep.